Even though they’re at full health, the Spurs are inexplicably limping toward the finish line of the 2018-19 regular season. A game after barely getting past the woeful Cavaliers, San Antonio fell at home to the recently eliminated Kings by a final score of 113-106. The Spurs are now 44-33 on the season after dropping their fourth game in the last six outings following a streak of nine consecutive wins. Sunday night’s contest was a back and forth affair that saw the two teams trade leads on a seemingly minute-by-minute basis. Until the fourth quarter. That’s when Sacramento completed a 14-0 run to build an 11-point lead with eight minutes remaining. With Pop in the locker room after being ejected, the Spurs completed a speedy comeback by scoring 17 of the game’s next 22 points over a span of four minutes and some change. Unfortunately, San Antonio’s one-point lead didn’t last long. The Spurs failed to score in the game’s final 2:53 as the Kings scored eight straight points to close it out and complete a 3-0 season sweep. It’s difficult to summarize what was witnessed tonight. Basically, the Spurs didn’t play with the focus, intensity or spirit of a team that is serious about making a postseason push. It was just another halfhearted effort. In the first quarter, LaMarcus Aldridge was a beast. He carried the team on his back while scoring 18 points on 8-of-12 shooting from the field. 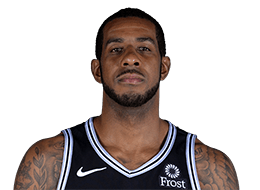 The rest of the game, though, Aldridge was bad; he scored nine points in the final three quarters on 4-for-12 shooting. And while his rebounding numbers look stout, the truth is less kind: four of Aldridge’s offensive rebounds were a result of him missing easy shots at the rim, while his defensive rebounds were inflated because he wasn’t helping out on the perimeter. His pick-and-roll defense was particularly lazy. All in all, while Aldridge’s numbers look good on paper, he was one of the leading contributors to the lack of intensity. Summary: Aldridge produced but his effort level was disappointing. 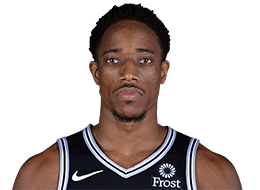 We have to begin at the end when discussing DeMar DeRozan. After hitting back-to-back shots to give the Spurs their only two leads of the fourth quarter, DeRozan misfired on his final three shots — all iffy looks from midrange — to help dig San Antonio’s grave. After being one of the best closers in the NBA the last few seasons, he has underwhelmed in that role this season. Tonight was just the latest reminder. Outside of his poor finish, DeRozan’s lack of urgency was disturbing. No free throw attempts in 36 minutes and two rebounds? That’s not going to get it done. DeRozan is just not good enough at anything intangible if he’s not scoring or making plays at a high rate. Against the Kings, he was mostly asleep at the wheel … until the fourth quarter when he took control in time to lead the Spurs to defeat. 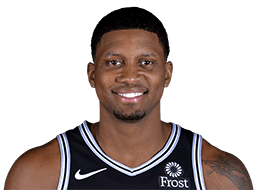 Rudy Gay is another player whose stats look better than his actual level of play. Yes, he efficiently pumped in 18 points on 12 shots, rebounded well and made a few good passes. However, Gay was given a chance to lead the bench unit (even though he was in the starting lineup to match down to the Kings) and he failed to deliver in that role. 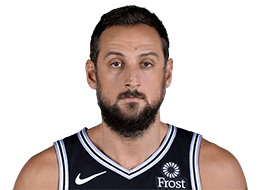 He played well with starters on the court but the Spurs were demolished whenever Gay was in with the bench, including that 14-0 run into the fourth quarter. He needed to be more aggressive and attack mismatches, like he’s being doing all season, instead of trying to blend in. Summary: Gay wasn’t Gay, despite the production. 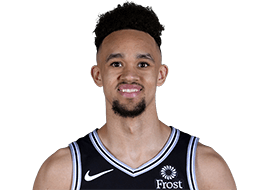 Rookie wall, meet Derrick White. He says he’s healthy so that’s the only explanation at this point. White scored three baskets in the first two and a half minutes of the second half … and that was about the extent of his contributions. His defense was okay at times but it was mostly disappointing — not as intense or as quick as we’ve seen previously on that end. His playmaking was meh, he had some uncharacteristic mistakes with the ball and his three-point shot looks diseased. It’s not a coincidence that the Spurs suddenly appear listless after White’s game started to go south in the last two weeks. For San Antonio to put together any type of run, they need White to return to form. Summary: This was a shell of White. 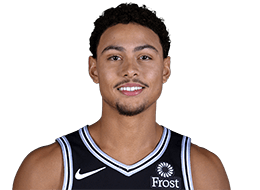 Bryn Forbes was the brightest spot in the sea of disappointment. He played hard, efficiently scored 15 points on nine shots and acted like he knew what he was doing when the ball was in his hands. Defensively, he was above average compared to what we’ve come to expect. He got burned here and there but he paid attention to his responsibilities well for the most part. Summary: It wasn’t Forbes’ fault. Offensively, Marco Belinelli was productive enough. He was active, found openings and remained a threat. But, like Gay, he deserves blame for the ineptness of the bench unit to begin the fourth quarter. His decision-making during that stretch wasn’t good and it put the Spurs in a big hole. Even more damning was Belinelli’s defense. On a team that played lethargic D as a whole, Belinelli was the worst of the bunch. The Kings successfully went at him and he never really exhibited much fight on that end. Summary: Belinelli played bad defense and was a dud on offense when it mattered. Bad shooting nights are understandably, they happen to every player in the league. 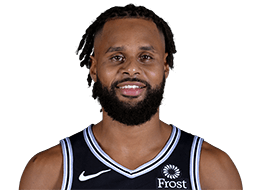 But Patty Mills’ brainless play tonight was difficult to stomach. When he wasn’t being caught unaware of two-for-one opportunities, he was running away from the man with the ball or failing to realize the Spurs needed to foul late in the fourth. Add together only mediocre energy, wayward shooting and a series of low basketball IQ plays and Mills was a millstone around the team’s neck versus Sacramento. 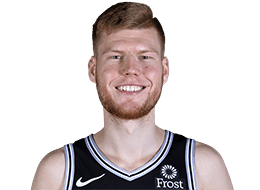 Hypothetically, the small-ish, lanky Kings are a good matchup for Davis Bertans. In actuality, it didn’t really work out that way. On defense, he was either giving up too much space or committing a dumb foul. His rebounding was also missing in action. Bertans helped out a little bit with a bench-high three assists and spread the court decently well but his offensive impact wasn’t much to write home about. Summary: Bertans didn’t help the cause enough. 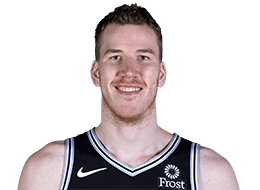 The good: Jakob Poeltl showed a little bit of life on the offensive boards after struggling in that respect the last couple outings. And, hey, he hit both of his free throws. That’s a plus, right? It’s the first time he can boast of a 100% free throw percentage in a game since he went 1-for-1 back on Feb. 6. The bad: On offense, Poeltl set ineffective screens and didn’t roll to the basket with any purpose. On defense, he was soft on the glass and, as a result, the team struggled to rebound when he was on the court. His help D was more often a step slow than it was timely. Summary: Poeltl didn’t do much right coming off the bench. Starting Gay turned out to be a mistake, as Gay played poorly with the bench and Poeltl never found a rhythm. The Kings are smaller than average but Pop could have gotten away with starting Aldridge and Poeltl together. 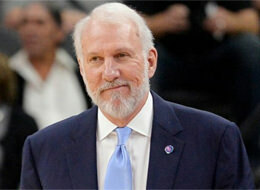 I also have to place blame at Pop’s feet for getting ejected. Yes, that ref made two bad calls in a row but the current Spurs team is a difficult one to coach due to all the moving parts (namely White struggling and the complicated rotations Pop has used to close out games). Ettore Messina drew up some fancy plays but almost none of the plays actually worked and he appeared to be unsure of what buttons to push down the stretch. Summary: Pop wasn’t good. Messina took over and made matters worse. Looking ahead: Next up, the Hawks come to town on Tuesday. It’s difficult to know what to expect out the Spurs right now but let’s hope they can get back on track because anything resembling a strong finish in the season’s five remaining games could be enough to lock up the seventh seed. As it stands, getting the seventh seed and facing the Nuggets in the first round is the goal.